Chyawanprash anti-aging supplement, it is one of purely herbal formulation. It has Amla as its main part, which is a powerful antioxidant. Acharya Charaka was the first to mention of the drug. There are many benefits of chyawanprash. It is useful for coughs and colds. It helps the revival of the elderly, but also young for proper nutrition. It can be effective in the throat infections, chest infections, gout, diabetes treatment. It improves intelligence (Medha), memory, power supply, shiny skin, age, strength of sensory organs, immunity, appetite. It is a powerful anti-aging herbal products. It also cures wrinkles. Slow down the impact of the aging process. Improve fertility, and maintain menstrual regularity. Purify the blood and eliminate toxins, the liver is beneficial. Improve skin tone, fights bacterial skin infections. Promote the absorption of calcium, leading to stronger bones and teeth. Improve muscle tone by enhancing protein synthesis. Deeply recommended for children and the elderly. It will protect your regular consumption of respiratory diseases and balance 3 doshas will re-inforce in its global organism. Shelf Life – 1 – 3 years. Avoid contact with moisture. According to Ayurveda, all lehyams, use herbs in hot potency. Therefore, to decrease it is that everyone should drink milk, which is cold, reducing the influence of thermal efficiency. Some patients may complain loose stools. Because it contains sugar, it is preferably avoided in diabetic patients with uncontrolled sugar. If you take every day, all year round, it is best to avoid it in the summer. Mentioned below dosages are general guidance to follow. 14 years and older –1 teaspoon –1 tablespoon morning, before food with milk. What is the best time to take Chyawanprash? Take Chyawanprash the best time – in the morning, 15 minutes before food, a teaspoon a spoon, according to age, with a glass of water. Chyawanprash how to help get rid of wrinkles? Wrinkles, gray hair, are all signs of premature aging. 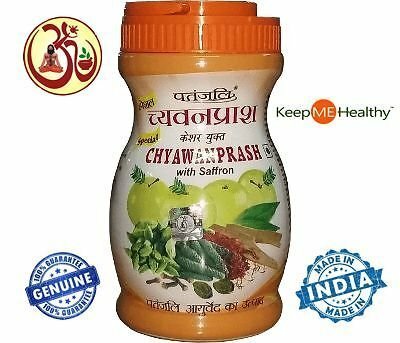 Chyawanprash rich in antioxidants, and rejuvenative herbs. It is’ rasayana that “the classification of the product – revitalizing and anti-aging. 2. improve the nutritional level of the body tissue. 4. improve the oxygen supply, deep tissue.